Losing someone personally versus knowing someone who is going through a great loss are two very different things. If you've gone through a loss, you certainly understand the difference. Until you actually live through the passing of a person you deeply love, you have no idea what to expect when the pain of loss hits. It's almost as though a light switch has been flipped, and your knowledge of life and death reaches a cosmic level. 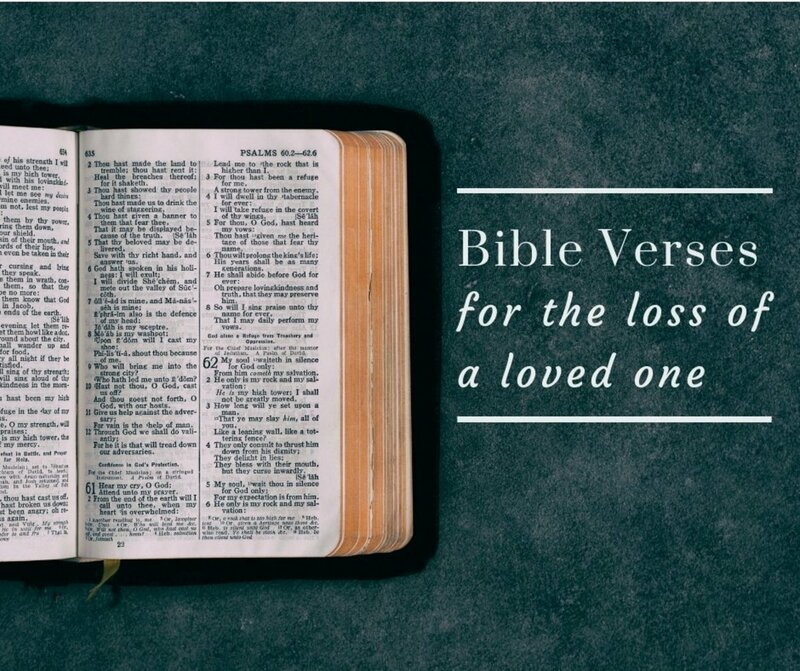 If you've never gone through it, finding the right words to comfort people living through a great loss can be challenging. 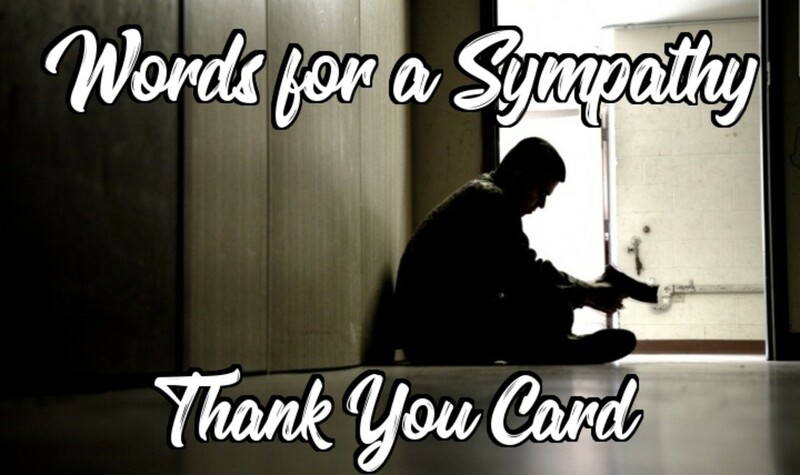 This page is designed to offer you ideas about what to say to someone enduring grief. Granted, nothing we say will erase their pain—however, it may bring a smile, lend a distant shoulder, or show them that you also feel their loss. It means a lot to read a personal note, it truly does. 1. His heart and his kindness will always be remembered. 2. He left a legacy of love and was a beautiful example of how to live life. 3. Your dad was like a father to me and I was honored to know him. 4. Your dad lives on in the hearts of all us; he leaves a void that no one else can fill. 5. In the winter of his life, he was still filled will grace—he was truly a beautiful soul. 6. Your loss is felt by all of us; we are all missing your dad. 7. In a world of cynics, your dad always held the candle of hope. 8. His endless gifts were his frequent kind words. 9. Not many men leave an impact like your dad did—he was a trailblazer of love. 10. In my lifetime, I will never know a greater man than your dad. 11. The loss of your father has left all of us humbled as we reflect upon his grace. 12. He passed 'go' and went directly to heaven; he was uniquely special. 13. He's reorganizing heaven as we speak. 14. His presence was huge and there isn't anything that can ever replace that void. 15. He's teaching classes in heaven on how to be the kindest person on Earth. 16. The stars dimmed their shine in honor of your dad's passing. 17. His arms were big enough to carry us all; he was a special man—rare in this world. 18. Your love for your dad was truly felt by all of us; our hearts are holding you close. 19. He wasn't just a dad, he was a living example of how to be a class act. 20. Yes, he'll always be with you in spirit—he'll watch over you as you go through life. 21. It's never going to make sense, but you'll find a way to breathe in and out until one day breathing in and out doesn't hurt as much. 22. His heart was your heart and your heart is his heart. He didn't leave, he lives in you. 23. He loved you with every breath he took. He was proud of you and most of all, he is still by your side. 24. Time will stop for quite a while but one day when you're not expecting it, the second hand will start ticking again. 25. Your dad didn't walk his road home alone, those who passed before him and who loved him were there to greet him. It was joyous and peaceful, with that I have no doubt. 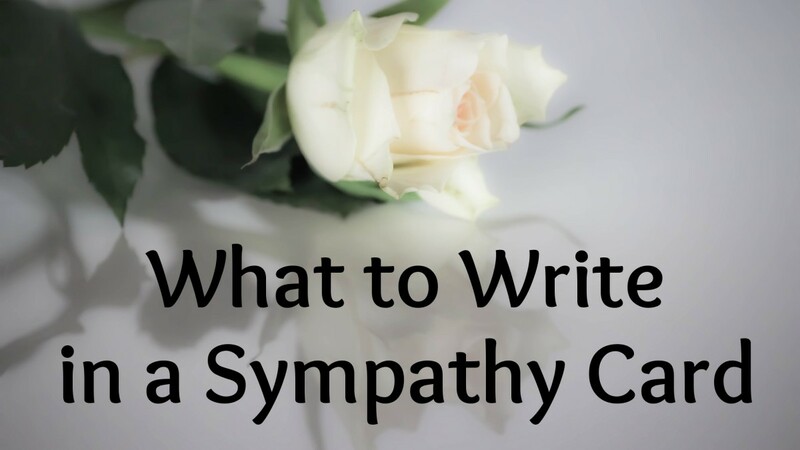 If you're able to write a short personal story, a wonderful memory, or a positive trait about the person who has passed, then this is always the best option. The next best choice would be a lovely, kind quote or saying written in your own handwriting inside a card. 1. Moms always keep us safe, no matter what side of life they're living on. 2. Your mom will always watch over you and care for you, that part will never end. 3. Take comfort in knowing that your mom was loved and her grace was felt by all of us. 4. Your mom's gifts were endless, making her spirit and love live on forever. 5. Nobody can ever replace a mom, which is why they always watch over us from beyond. 6. Your mom was loved by so many people, so your loss is shared by many. 7. Your mom was a precious gift to many of us. 8. Know that we feel your pain very deeply and are here for you during this time of sorrow. 9. Heaven just received the classiest lady that ever lived. 10. 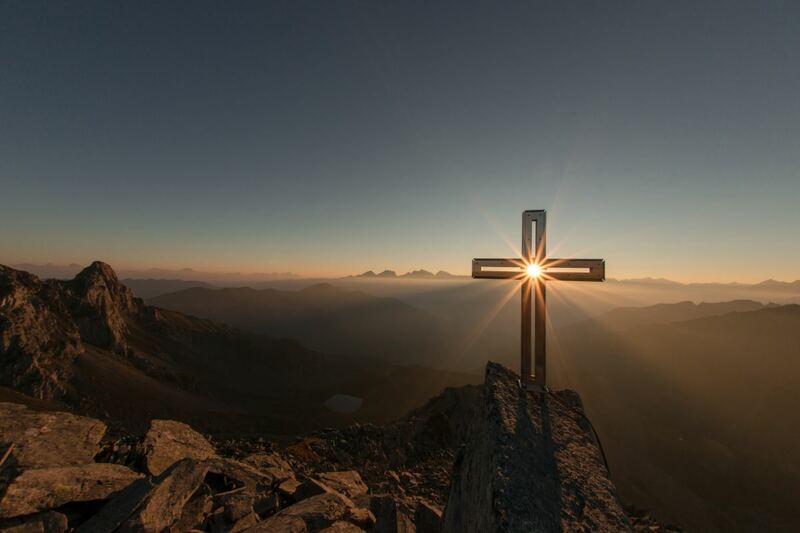 A little grace, a little style, and a lot of heart; heaven is even better now. 11. Angels are hugging you with their wings and your mom's spirit is among them. 12. Our moms keep us close no matter where they live. 13. In your hour of need, I extend my heart and love to you. 14. Mom is in heaven watching over you; you are never alone. 15. Your mother was a ray of sunshine to many and now she gets to shine from above. 16. I loved your mother—she was an amazing human being and she will be so missed. 17. Behind your mother's smile was always another smile—her memory will live forever. 18. Kindness was your mom's specialty; we were all blessed to know her. 19. If they're handing out awards in heaven, your mom just won first prize. 20. Your mother's love was felt deeply by many. I feel your presence every single day, and I miss you more than words can express. 1. Your life was made better by his presence and will continue to be made better as he works unseen. 2. He is looking down congratulating himself for the wonderful family he raised. 3. When heaven hands out awards, your loved one will receive the Grace & Dignity Award. 4. Hope comes from the strangest places—even through sorrow there is hope. 5. A human life is our gift; a spiritual life is our eternity. 6. All of us go home where we gather around to discuss our contributions. 7. In the end, there is no end—life goes on; hold on to your loved ones, they haven't left you. 8. 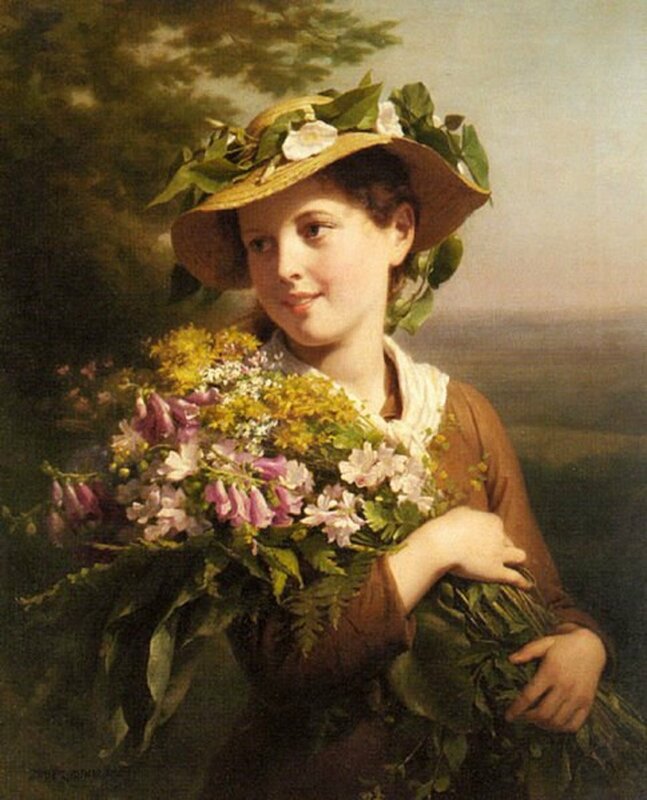 Hope is a place where flowers grow with or without seeds. 9. In our hearts we hold each other close, it's the place where beauty gathers. 10. Know that your love carried her and that she now carries you. 11. The spirit houses the soul as the body did, so your loved one lives on. 12. Life is a beautiful journey that continues on past this world. 13. Life begins with birth, and upon our passing is the current reflection of our soul. 14. Time never ends, life never ends, love never ends. 15. Separate and distinct from the body is the soul—it lives forever. 16. 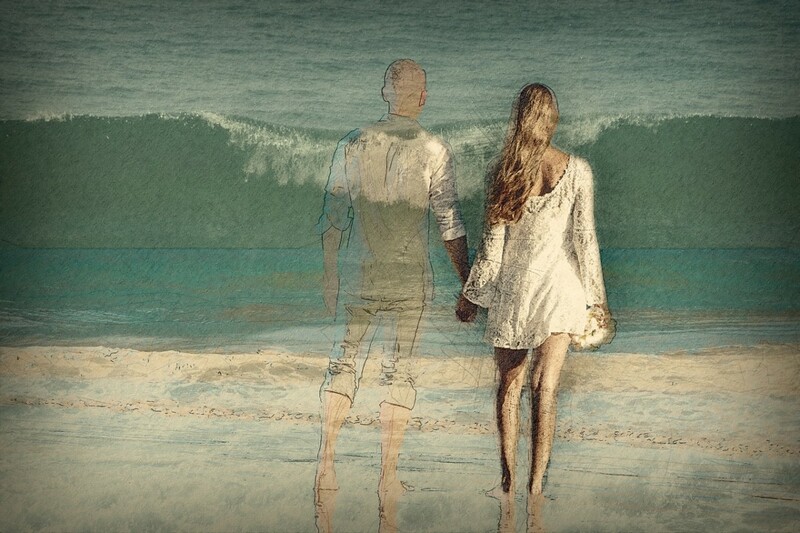 Missing someone means they are never missing. 17. We never cease to be, we are simply awakened to a new existence. 18. A heart of kindness passes into a new awakening free of encumbrances. 19. We are the total sum of our willingness to spiritually evolve. 20. In life we hold on, in death we let go; the spirit is free to love, unencumbered. 1. Your words were very kind and truly appreciated, thank you. 2. It's been so hard but your beautiful card brought a much-needed moment of light. 3. You're such a wonderful friend, thank you for all you did during this very difficult time. 4. Without people like you, people like me would never get through times like this. 5. You are the gift I give myself, thank you for being there. 6. During my hour of need, you were there; thank you so much. 7. I didn't think I could get through this, and there you were holding me up; I love you. 8. Your arms held me close and filled my soul with much-needed moments of peace. 9. Thank you for your thoughtfulness, it was greatly appreciated. 10. You are very special people, and your loving support meant the world to all of us. 11. I feel as though you are the only one who really understands my pain; thank you. 12. You were there for me when I needed you most—you are a true friend. 13. It's hard to explain my pain to people and yet to you I don't have to; you truly feel it, too. 14. For your time, your cooking, your help, your heart and your love, I thank you. 15. Know that I cannot put a value on what you did for me; it was deeply appreciated. 16. As I move forward in life, knowing you are still here brings me peace. 17. 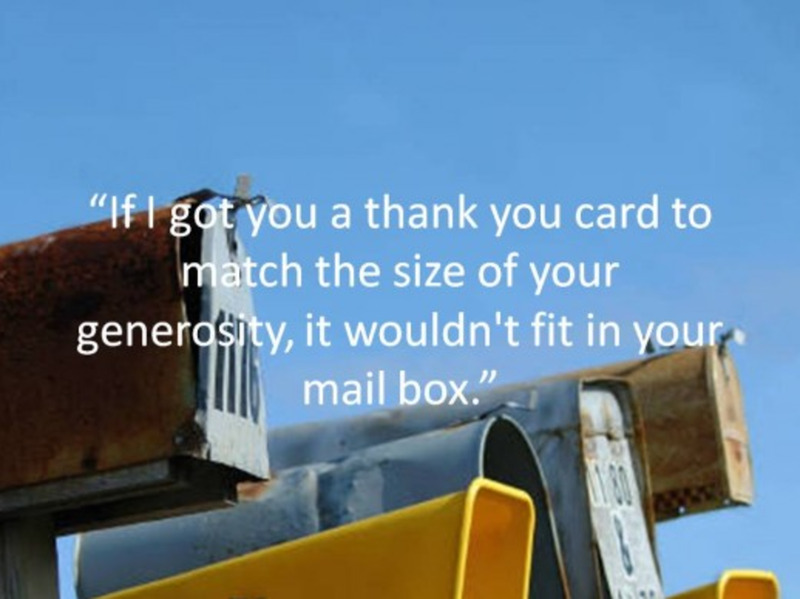 Your support and gracious generosity is rare these days. You are special, thank you. 18. You hold my heart, I hold your heart. Thank you. 19. In this life, knowing you are here means so much. Thank you. 20. Where there is darkness, there is light—you are my light. Thank you so much. This is so helpful. 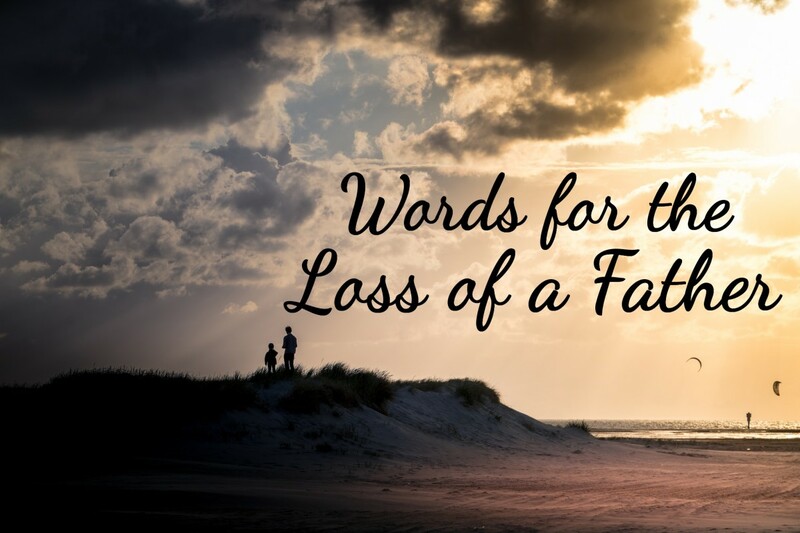 I am always at a loss for the correct words and the correct words are so important at the time of a loved one's passing. This is such a wonderful, helpful article, Barbara! 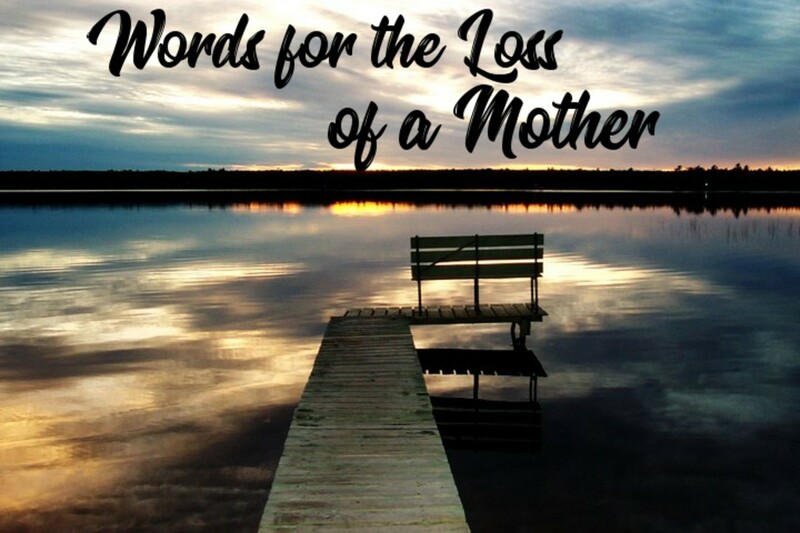 Finding the right words to honor the dead and comfort his or her loved ones is often very difficult, especially when one's own heart is heavy with grief. Bookmarked! Donna, thank you for stopping by and leaving such a thoughtful comment. When dad passed and people send cards by the 100's I couldn't believe all the thoughtful words expressed to us and was shocked by just how much we needed to read them. 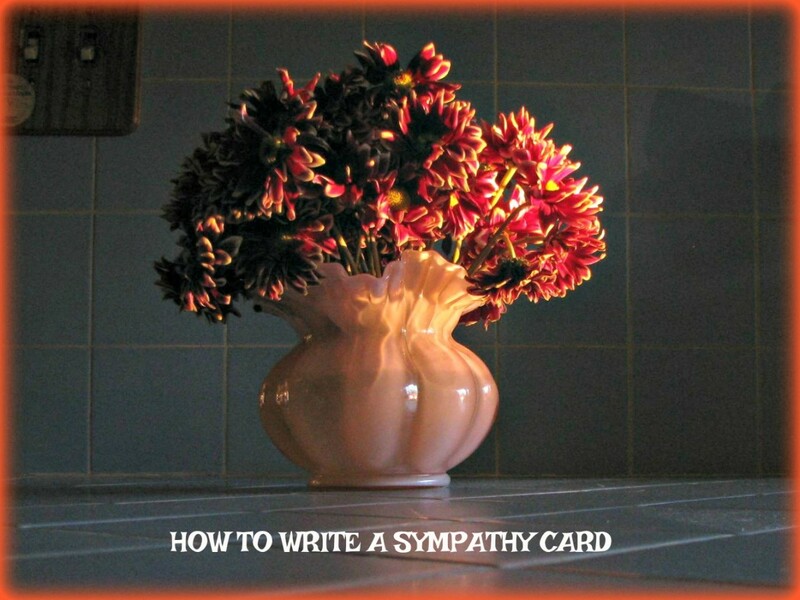 It is so very hard to know what to say to a bereaved person at a time when they most need understanding and empathy. This is a lovely thoughtful article. We sometimes avoid people when they need a friend the most because we just do not know what to say and how to respond. Lorelei, it sure is, I remember when the cards and notes came in for dad, it meant a lot. This is one occasion where I have always had difficulty finding the appropriate words to say. Thank you for this list. Grief is such a highly emotional time. Your idea of sharing a personal memory of someone who has died is my favorite. It's heartwarming to hear favorite stories others have of your loved one. This is a beautiful, soothing lens. Thank you for sharing its contents. It will be useful to many, many people. There are times when you just can not find the right words to express, but thanks to this site the task will be a little bit easier. Thank you for sharing this information to help others during their time of need. These are really powerful and touching sentiments you have written. We do need these thoughts prepared because it is so hard to think during the exhausting time of experiencing a loss. Only someone who has known a painful loss could write such beauty. Thank you for pouring out your heart and spirit in this way to help us all. 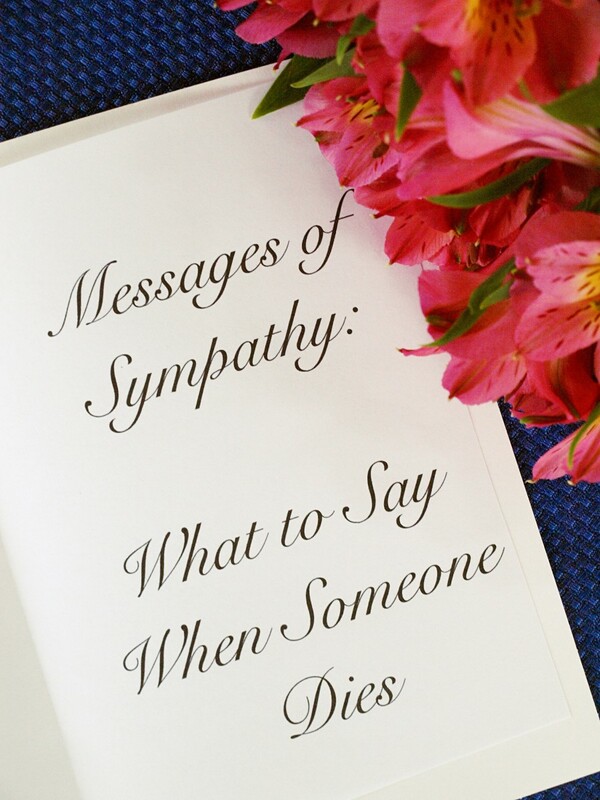 Finding just the right choice of wording for a sympathy card is something so many people struggle with. This is such a helpful resource page and filled with beautiful and sensitive ideas. Wow, did you write all these? I'm impressed! This is a super helpful page! You know, I wish I was this lens last month when my mother's father died. I really didn't know what to write. I think of my dear father every single day, nearly two years since he passed over. There are some lovely ideas here. Thank you! This is such a useful page for people who are often at a loss for words at a time when just the right words are needed. Thank you for sharing this. We've all lost someone dear - or, if very young, perhaps not yet; but we will experience the loss in time - and yet it never seems to help to find the words for sympathy for someone else in the same grief. I am sure that a great many people will be grateful for your suggestions for gracious, kind, heartfelt words. My sympathy to you on the loss of your Dad; it's clear from reading this that the two of you had a very special bond and he will always hold a place in your heart and your memory. Nicely done and very sweet sentiments. Thank you for sharing this. I'm sure many who have lost their loved ones will be touched by your gesture. Thanks or sharing these wonderful words. I always make my own Sympathy/Birthday cards. Now I have another source for soothing words. Thanks again. Thank you so much for this lens. It was quite interesting to gather such information. The song I have never listened to it before so thank you so much for sharing. Really nice one to add to my collection.